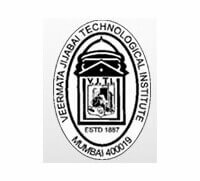 The Veermata Jijabai Technological Institute was originally named as Victoria Jubilee Technical Institute. It is one of the oldest technical colleges of India which was founded in 1887. Only in 1997 the institute was rechristened to its present name. The institute enjoys administrative and academic autonomy. The VJTI is affiliated with the Mumbai University. It awards degrees and diplomas under the name of Mumbai University only. It acts as the Central Technical Institute of Maharashtra. It is AICTE recognised institution. It is ranked as one of the 20 best engineering colleges of India by the India Today magazine. Students get all sorts of facilities at the college campus to get a better learning experience. There are libraries, hostels, internet, canteens, laboratories, and research centres and sports clubs in the college campus. Library – The Libraries are getting upgraded with the World Bank funds for TEQUIP (Technical Education Quality Improvement Programme). Laboratories – The laboratories are sponsored by various companies to provide practical learning experience to students. For example – Bhabha Atomic Research Centre sponsors Computational Fluid Dynamics laboratory of the institute; Siemens sponsors the High Voltage Laboratory of the institute etc. Nirman – It is the college magazine of VJTI. Distance Education Programme – The VJTI has partnered with the IIT Bombay to provide the distance education programme to students. There are annual cultural and technical festivals also that are organised by the institute. The institute offers undergraduate, postgraduate, and doctoral courses. It provides degrees, diplomas and certificates to students. Students can get admission in the VJTI B. Tech courses by qualifying the MHT- CET (Maharashtra Common Entrance Test). For M. Tech courses also a Centralised Admission Procedure is followed. For example – To get admission in the MCA course, a student is required to appear in the MAH – CET – MCA exam. For Ph. D courses, the VJTI conducts written exams. A candidate can get admission in the VJTI’s B. Tech course either on the basis of their marks in the CET or IIT JEE Mains exam. A student should have qualified Class 12th/ equivalent in PCM subjects with a minimum aggregate of 55% marks. In case of reserved category and physically handicapped candidates from Maharashtra, the minimum aggregate of marks should be 50%. A candidate can get admission in the VJTI’s M. Tech course on the basis of their marks in the GATE exam. A student should have qualified B. Tech/ equivalent with a minimum aggregate of 60% marks. In case of reserved category and physically handicapped candidates from Maharashtra, the minimum aggregate of marks should be 55%. A student should have completed either B. Tech or M. Tech from a recognised university with a minimum aggregate of 60% marks. A candidate should be an approved teacher ( CSIR- NET-JRF qualified) with a minimum teaching experience of 5 years in the related field. A candidate can apply for admission in the VJTI courses online. They should visit the official website of the VJTI and fill the application form by paying the requisite application fees. After filling the application form, they should submit it online only.